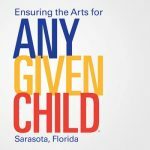 Affordable housing, studio and performance spaces for artists in Sarasota will ensure the rich and diverse artistic community. Artspace is an exciting partner to make affordable housing a reality for Sarasota. An Artspace community in Sarasota will provide much needed affordable housing studio and performance spaces to our creative residents. In 2014, Sarasota was identified as a viable art space location. Thanks to the help of our community $45,000 was raised towards funding a local art space project – now we are set to launch Phase II – the survey! Artspace has developed a $491 million portfolio of more than 40 projects providing millions of square feet of affordable space for artists and creative enterprises. Established in 1979, Artspace is a non-profit organization that uses the tools of real estate development to create affordable, appropriate places where artist can live and work. These projects are developed in ways that also support more stable healthy communities anchored in existing assets. Artspace owns and operates every project it develops. This insures the projects remain accessible and affordable to artists in perpetuity.